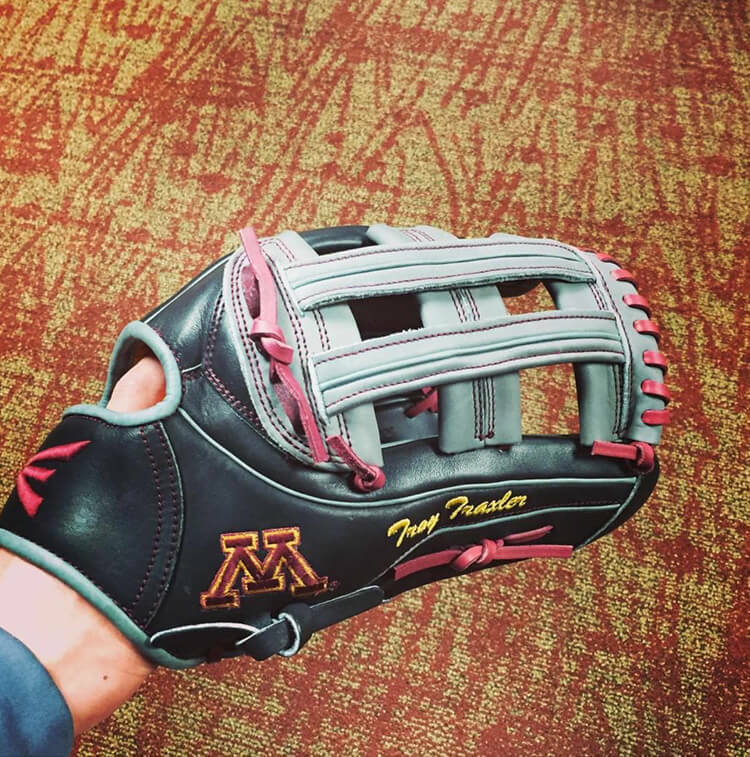 We asked WPW’s college-level grinders to send us in their pics from glove day a couple of weeks ago. The returns have been bountiful. 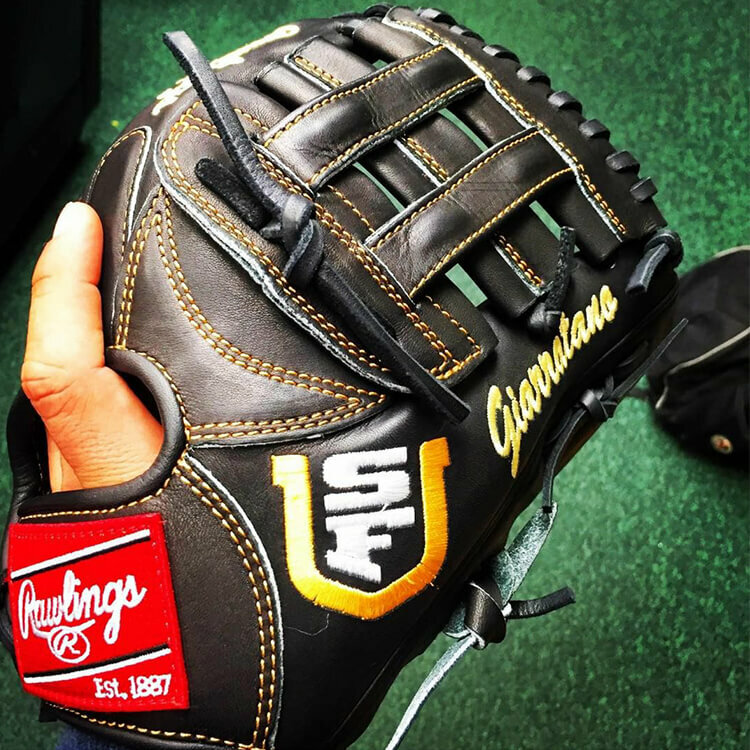 Here’s the best of the best, starting with University of San Francisco SS @ngiarratano6‘s gorgeous Rawlings H-Web. 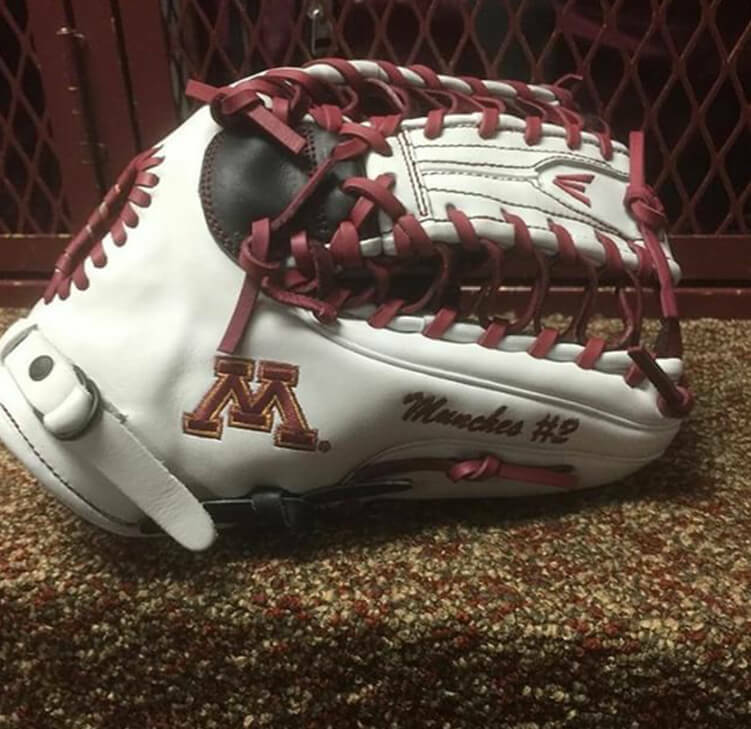 Fellow USF middle infielder @afs23 isn’t hurting for glove swag either. 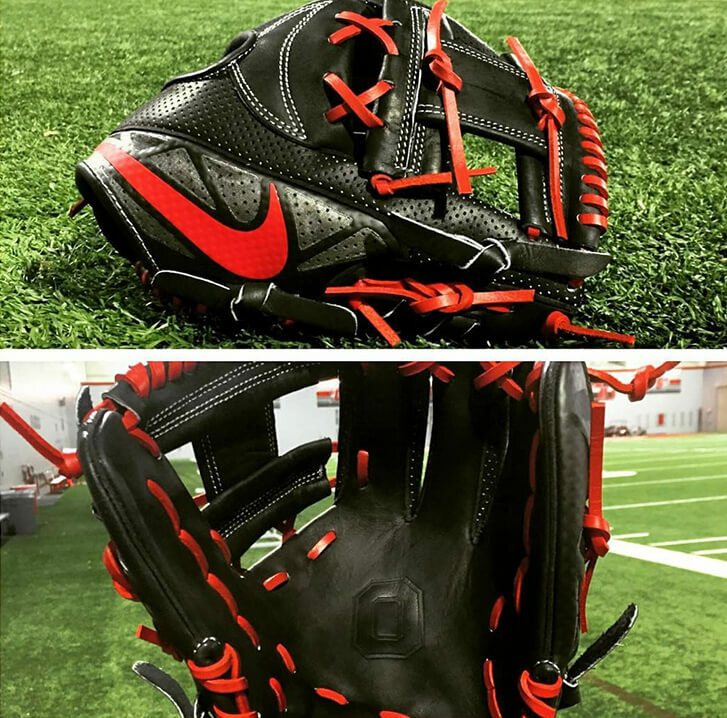 @lgdavis2, 2B for the Ohio State Buckeyes, sent in a couple looks at his new Nike MVP Select, which is a flat-out showstopper. 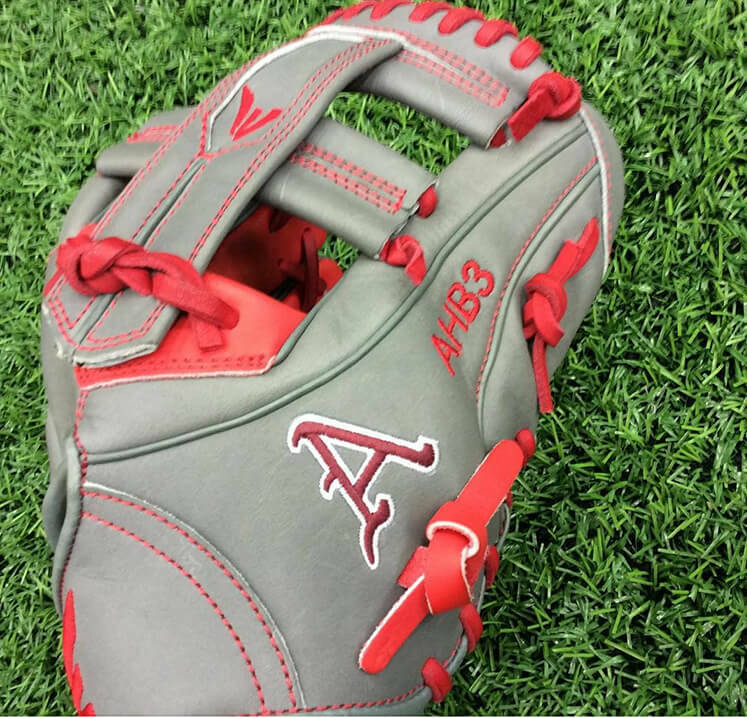 One of the sexiest gloves these eyes have seen. 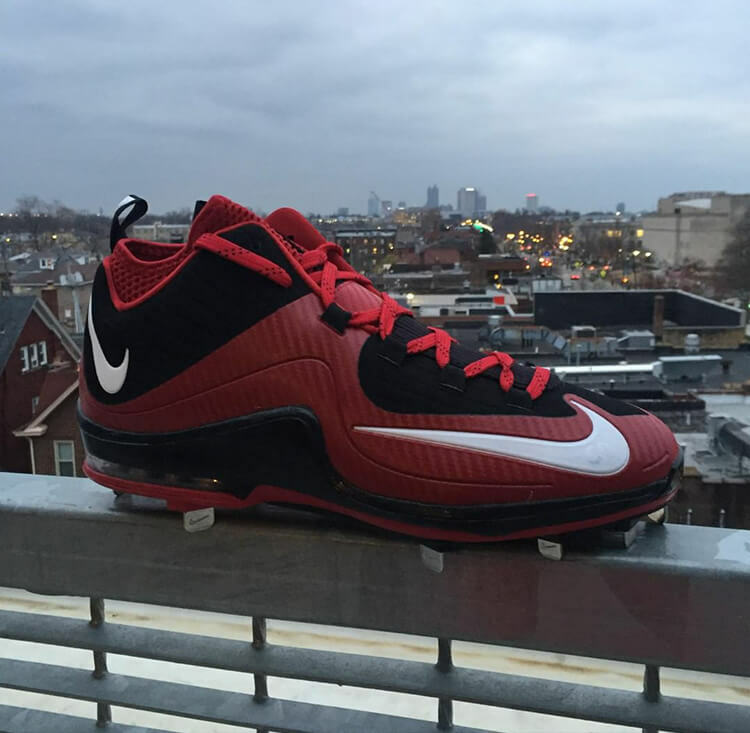 Davis also showed off OSU’s Huarache Pros for 2016. 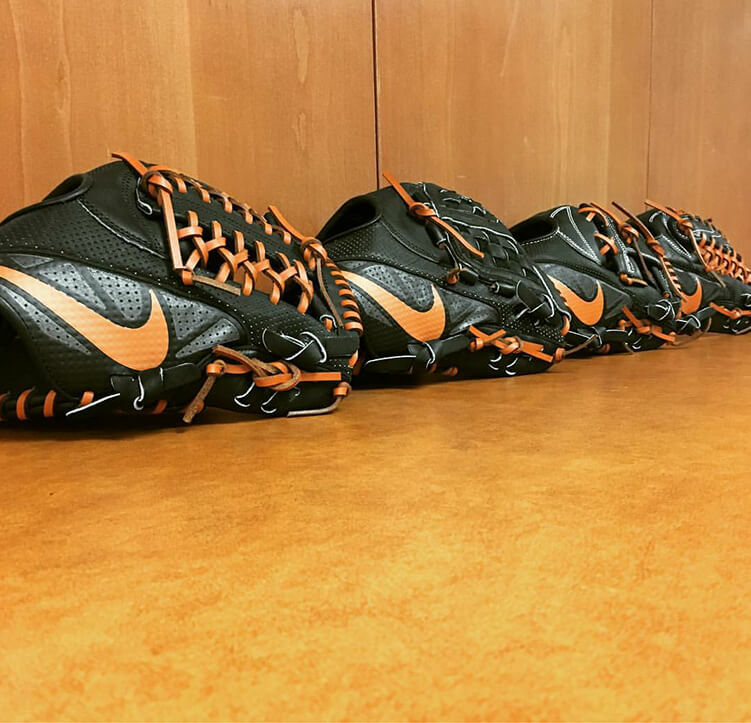 A couple of other Nike schools in on the MVP Select action, Duke (@duke_base) and University of Texas (@UTbaseballEquipment), below. 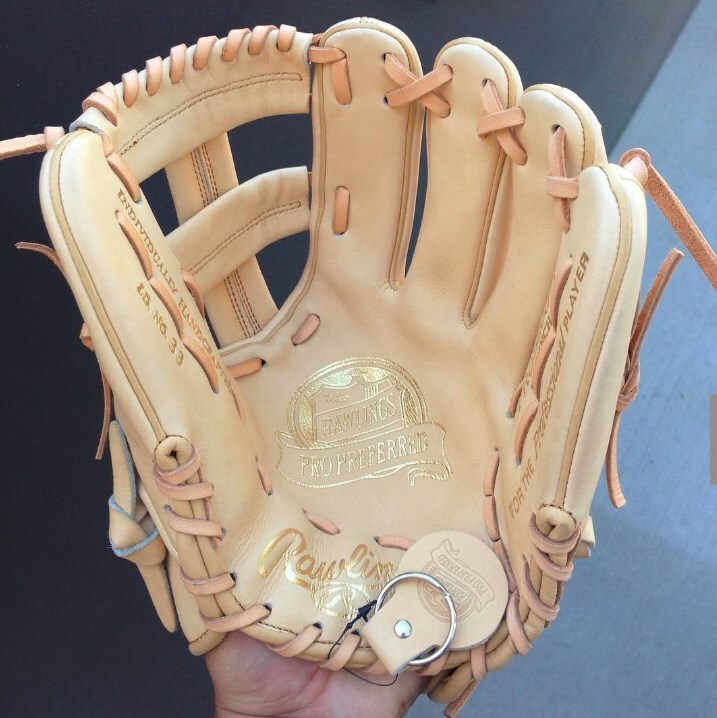 Texas was the first school we saw with these babies. 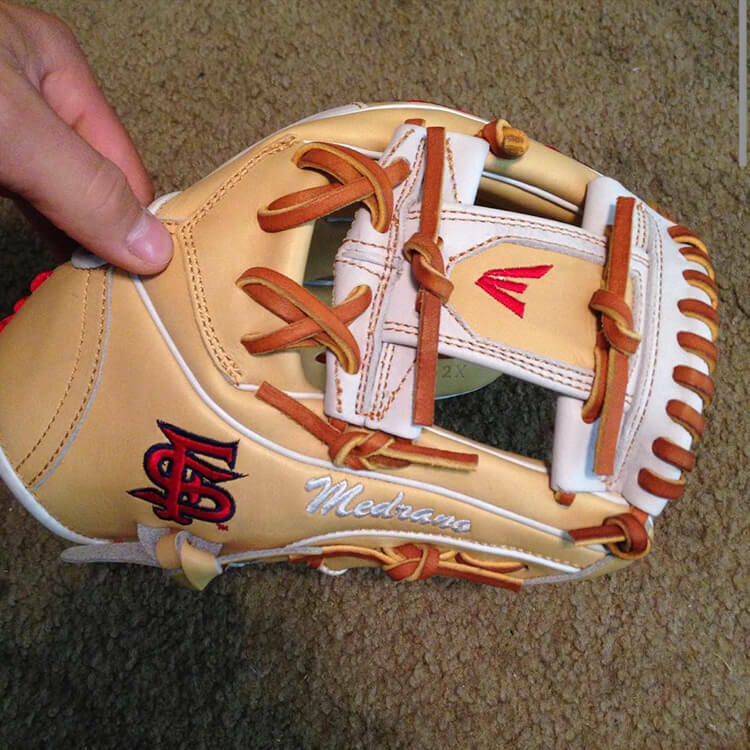 It’ll be interesting to see if the gloves have improved from last year’s debut. 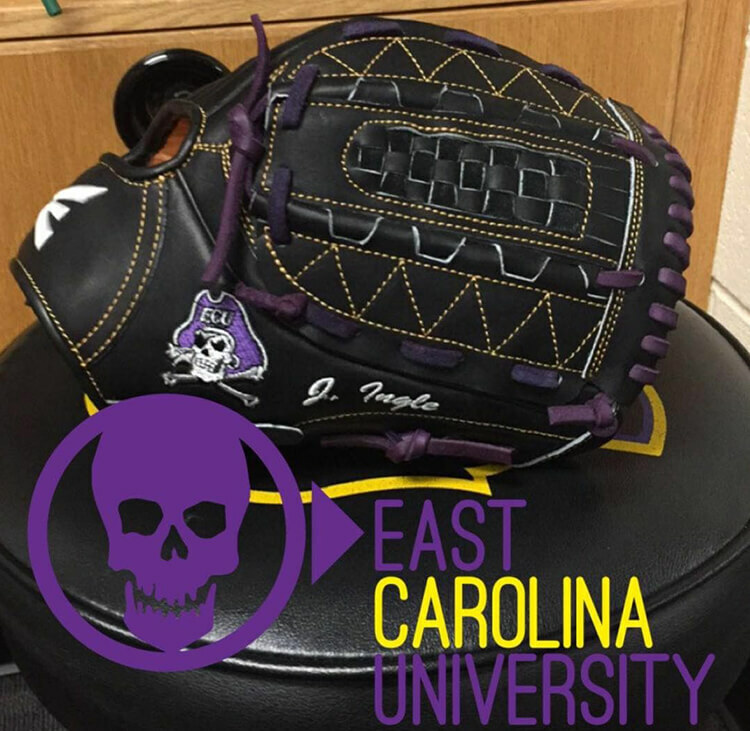 We had a UNC ballplayer weigh in on the MVP Select gloves just yesterday. 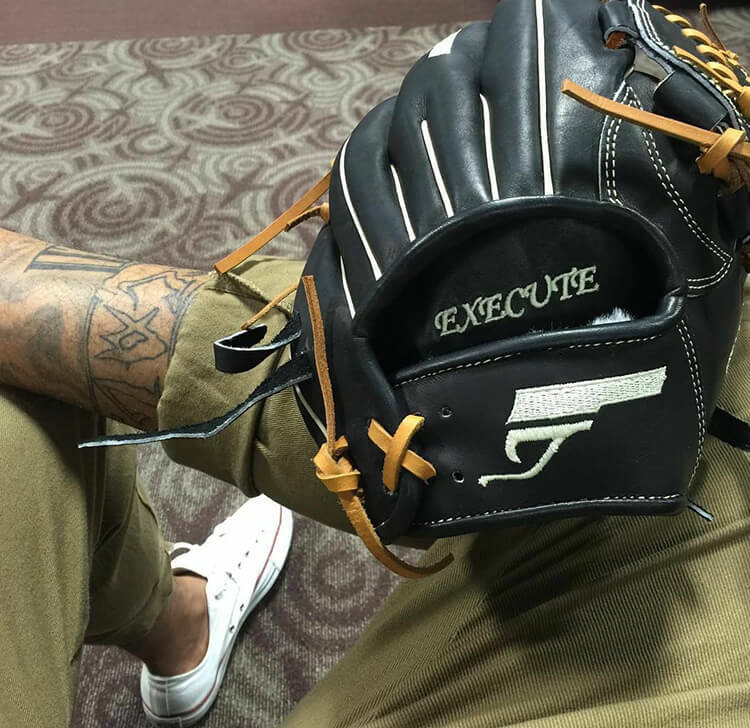 Cal Baptist University infielder @jakegallaway with a Pro Preferred that’s all class. 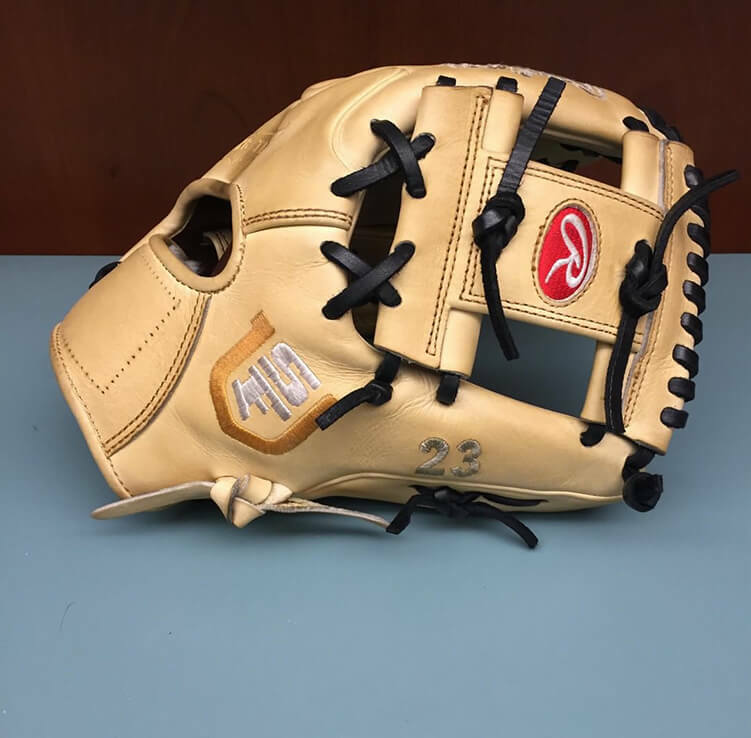 That gold paint is simply decadent. 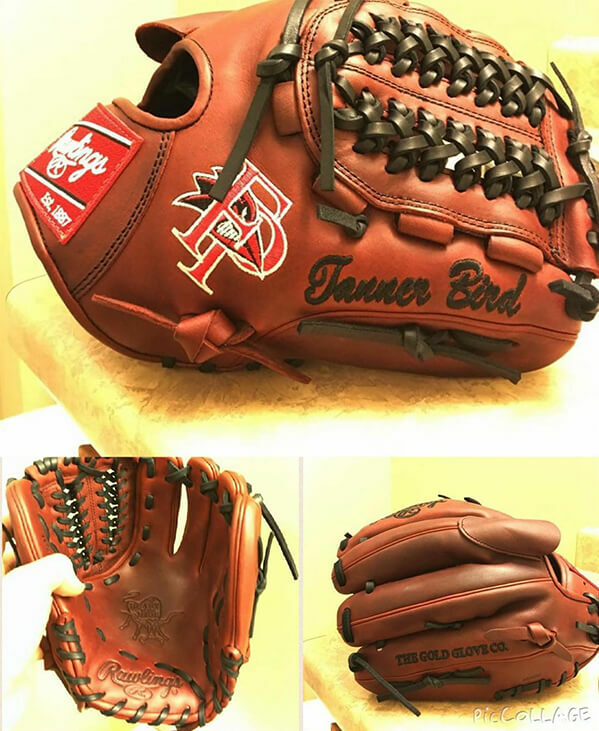 Franklin Pierce pitchers @tanner_bird & @tnorts‘ Rawlings masterpieces. 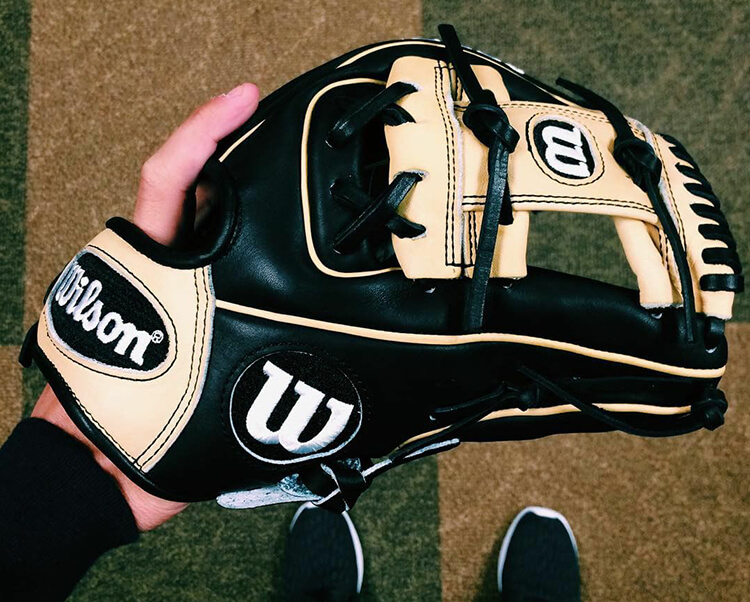 Baylor infielder @joshbissonette‘s Wilson A2000. 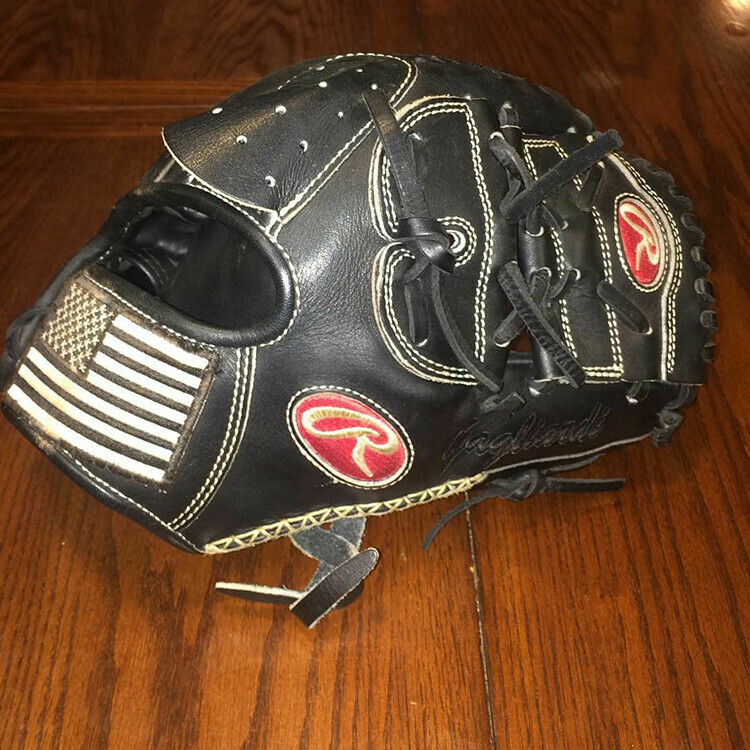 Army pitcher @MGTrey1‘s self-customized Rawlings complete with American flag patch. 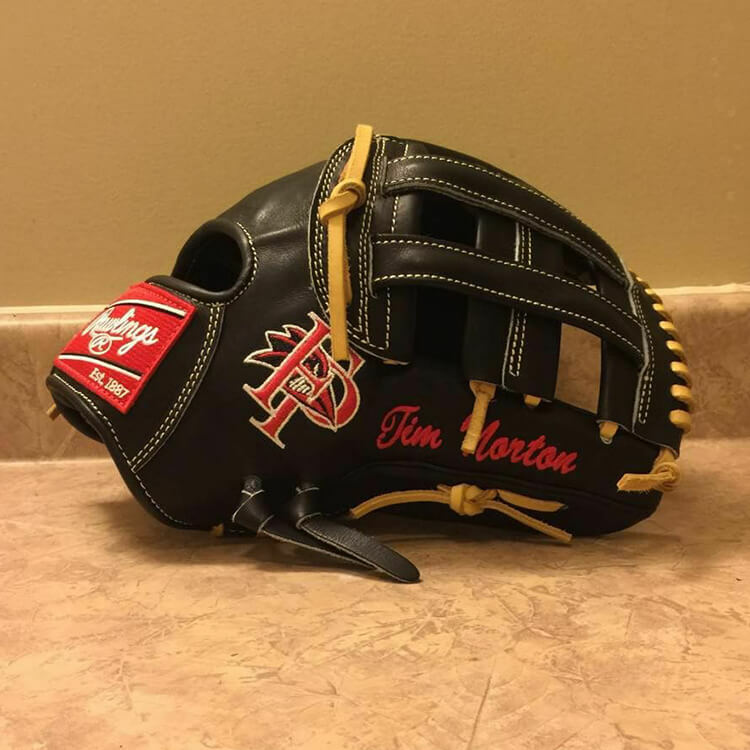 White Sox prospect Peter Tago sent in his Gloveworks piece, which stays true to his “Petey Pistola” nickname. 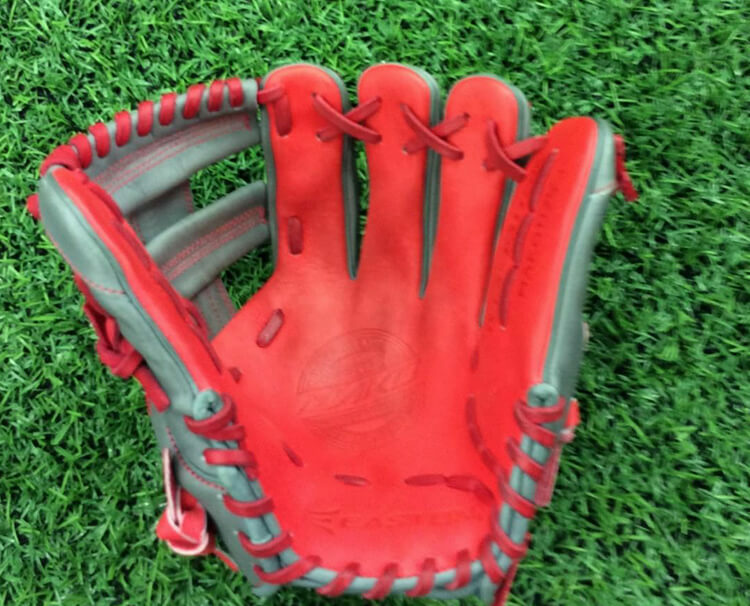 You can get a better angle on that beautiful web on our Instagram. 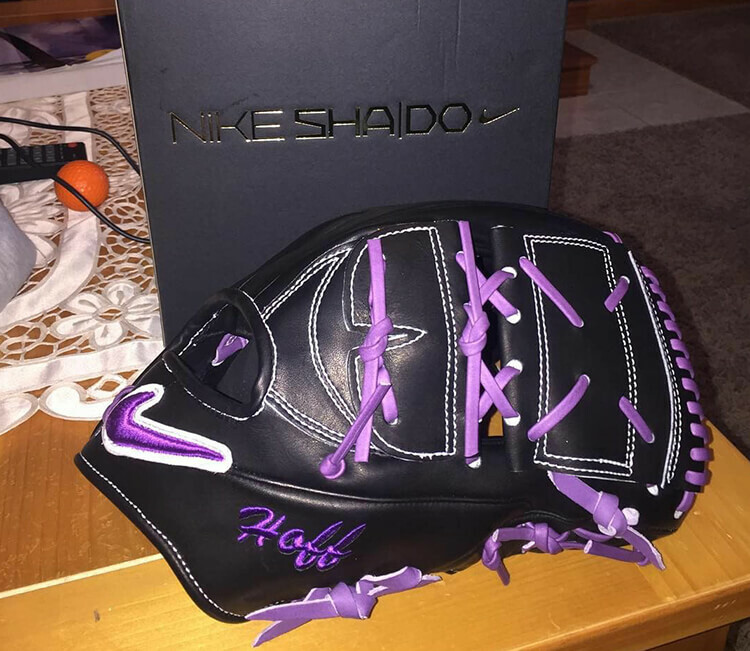 Jeff Hoffman (@jeffhoffman23), #9 overall pick in 2014 and one of the big pieces in the Tulo deal, sent us his new SHA|DO two-piece for next year. Ugh. 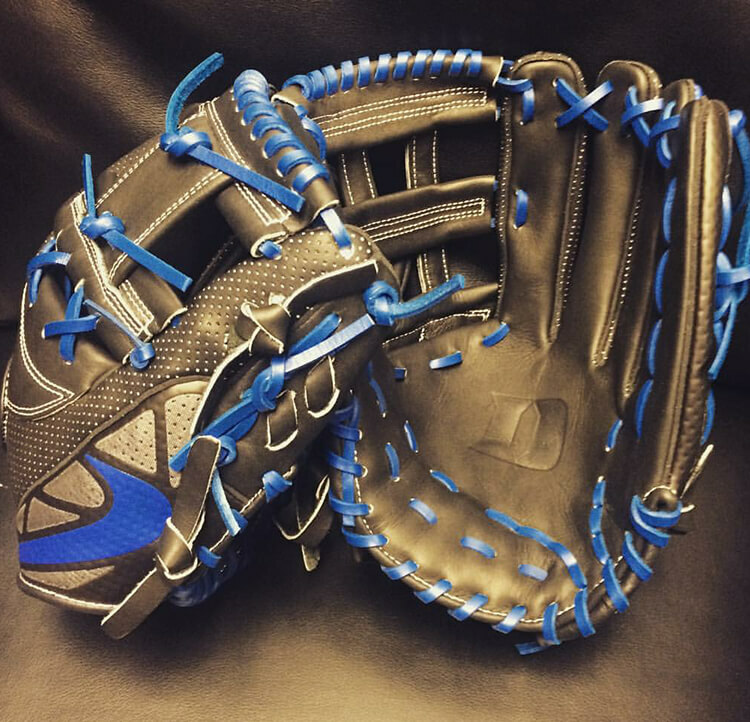 Why do the Rockies always have it so good?! 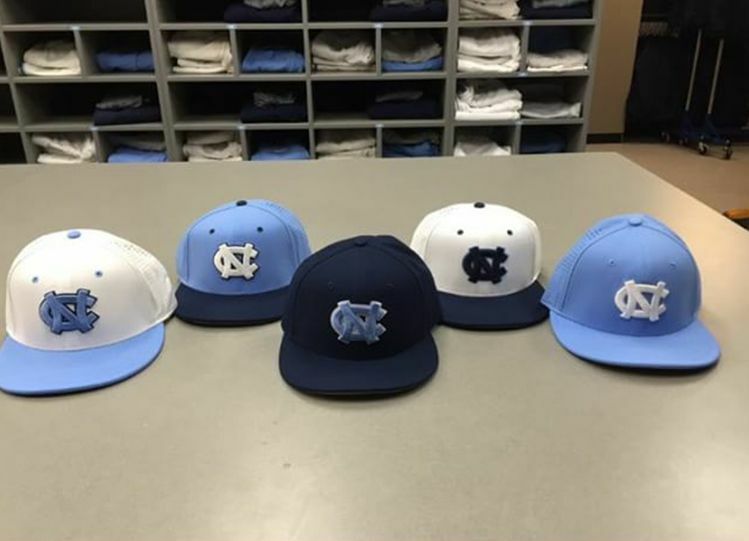 ’cause why have one hat when you can have five?